Greetings, dear readers! 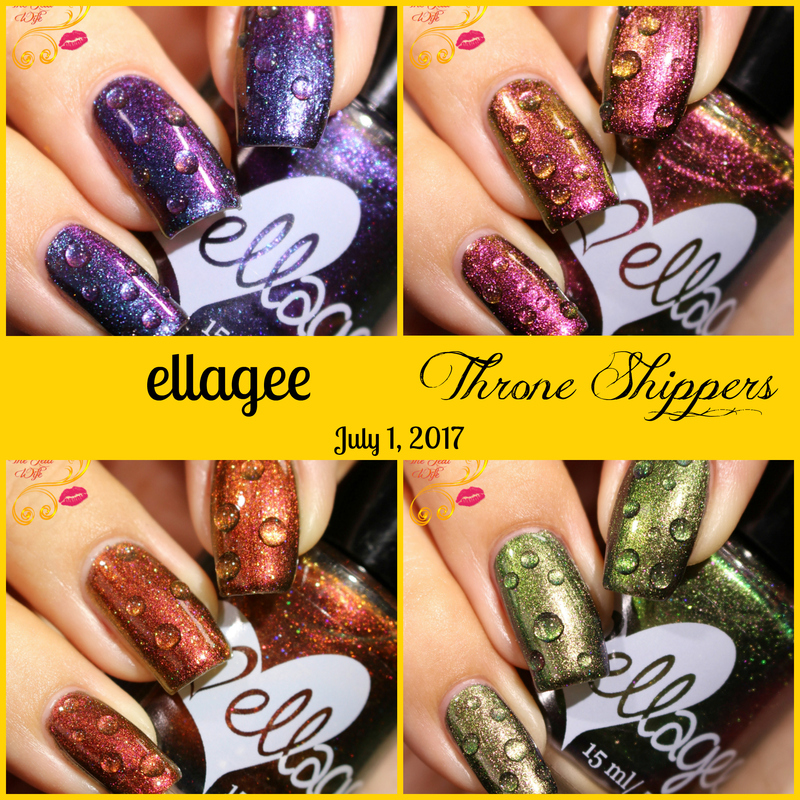 For today's blog post, I have the upcoming Throne Shippers Collection by ellagee to share with you. 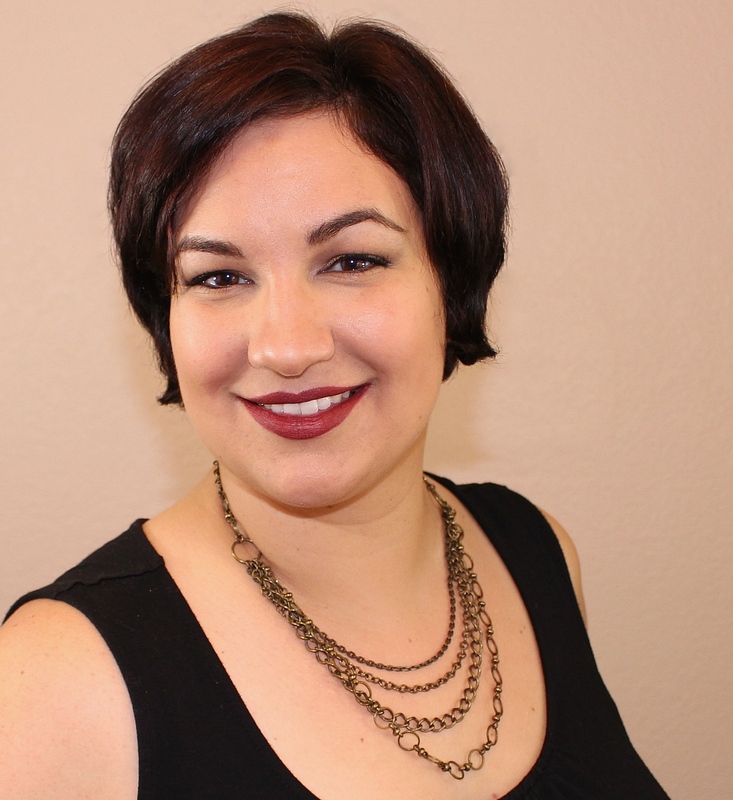 Laura, the creative genius behind the brand, is a fan of Game of Thrones, and this collection is named for the relationships Laura hopes to see blossom in the upcoming seventh season. This four-piece collection consists of multichromes with iridescent microglitters and coordinating shimmers. They are stunning, and I can't wait to share them with you! So I don't sound like a broken record, let me fill you in on the formula first since my thoughts are the same for all of them. All four of these multichromes have a great formula that isn't too thin or thick, at least for my liking, and they all applied so smoothly to the nails. I used three easy coats plus top coat for all my swatches shown below. Those with shorter nails or those that tend to use thicker coats may find they only need two coats for opacity. This polish represents Daenarys Stormborn and Jorah Mormont. We all know he loves her and he's been her fiercest protector. After all he's been through to get back to her will he be able to find a cure for his unfortunate case of Greyscale and stand beside her at the Iron Throne? This polish represents Gendry, unacknowledged son of Robert Baratheon, and Arya Stark. When they were traveling he was her loyal friend and protector and seeing them separated was heartbreaking. Now that some time has gone by and Arya is no longer a child I hope that their reunion will become a story of first love. This polish represents Grey Worm and Missandei of Naath. The are the sweetest couple in the show, their obvious love for each other has a pureness and innocence about it. We've seen a kiss, will they be able to have a life together in spite of the war they're sailing into? This polish represents my favorite couple of the series, Brienne of Tarth and Tormund Giantsbane. He was struck with a massive crush on her the moment he saw her, she wasn't so sure about him but I think under that scowl she's sneaking looks at him also. I'd love to see these two loyal warriors get together, they'd be unstoppable as a team. All four of these polishes are breathtaking; I can't pick a favorite! The additional microglitters and shimmers make these spectacular, and it's so hard to stop staring at my nails all day! Whether you're a Game of Thrones fan or just crazy about multichromes, you're definitely going to want this set in your collection! The Throne Shippers Collection will be launching on the ellagee website this Saturday, July 1st so you won't have to wait too long to pick these up! Do you have a favorite shade from this collection? Which one (or more) will you be sporting on your nails for the launch of the 7th season of Game of Thrones? I'd love to hear your top picks! These are gorgeous - I love your water drop shots. Absolutely gorgeous! I tried to pick a favorite, but it's not possible. WOW!!! That is a STUNNING collection! Daenorah has to be may favorite shade. Pretty multichromes! I really like Gendrya. These are screaming Autumn to me! These are perfect multichromes! I will be checking them out. You know, I read the first book and then lost interest. Haven't seen the show yet, lol. Love the polishes - Laura has outdone herself!